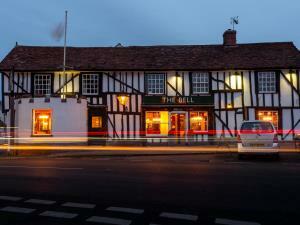 The Bell Hotel01787 277741work HotelThe Bell Hotel is very proud of its historic trading history in the beautiful town of Clare, gateway to all that wonderful Suffolk has to offer and is so much more than just a pub. We are taking The Bell into the 21st Century with a team who can really build on this traditional coaching inn’s reputation – to provide a high-quality offering with a warm and engaging service that ensures guests feel valued. The Bell Hotel is very proud of its historic trading history in the beautiful town of Clare, gateway to all that wonderful Suffolk has to offer and is so much more than just a pub. We are taking The Bell into the 21st Century with a team who can really build on this traditional coaching inn’s reputation – to provide a high-quality offering with a warm and engaging service that ensures guests feel valued. It is our intention to make The Bell one of the finest accommodation, functions and fine dining experiences in the region and this is just the start of all that we have to offer for you to make your stay or dining experience truly magical and joyously memorable. Our motto is to create a place that is renowned as a destination of choice, where experience becomes memories for all the right reasons.